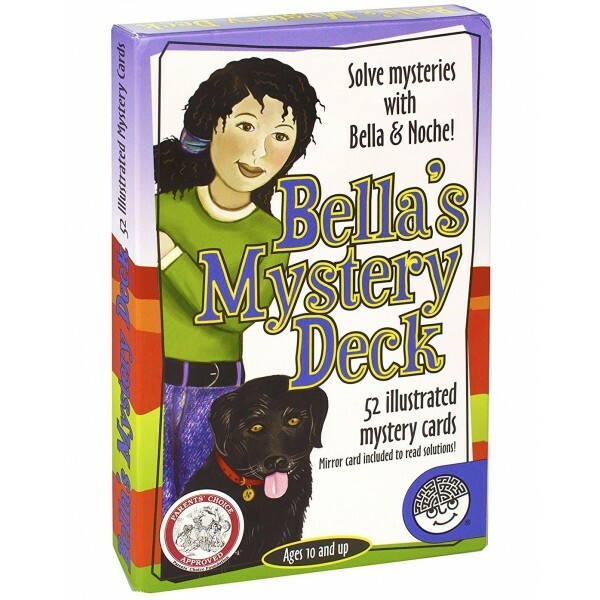 Bella's the brightest 13-year-old detective we know-and soon to be your kid's favorite sleuth. Which twin stole the diamond ring? 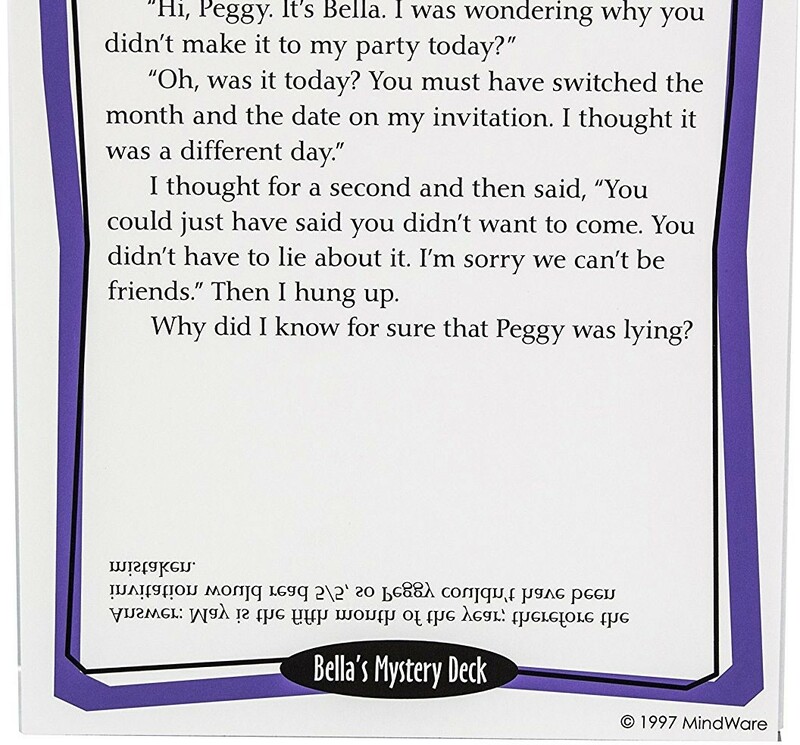 What is Mrs. Grinder's houseguest hiding? 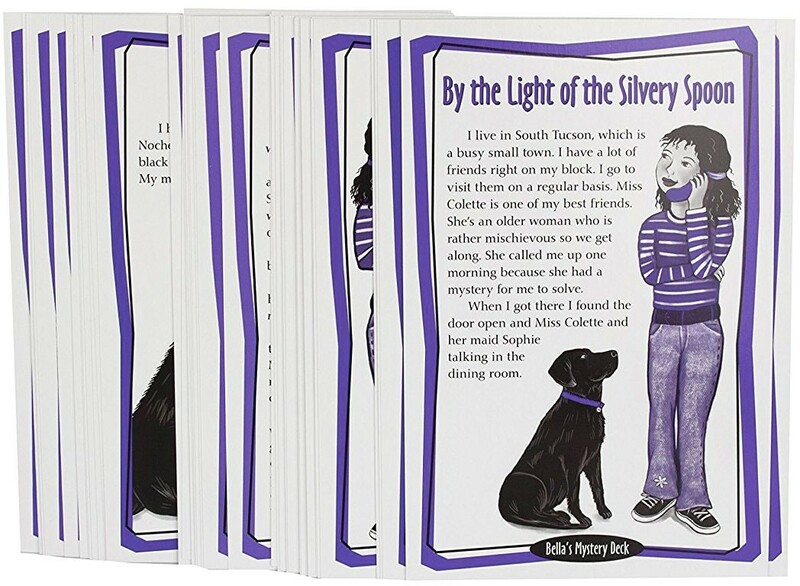 Fun illustrations and fascinating characters keep kids engaged as they test their powers of deduction and hone reading skills. 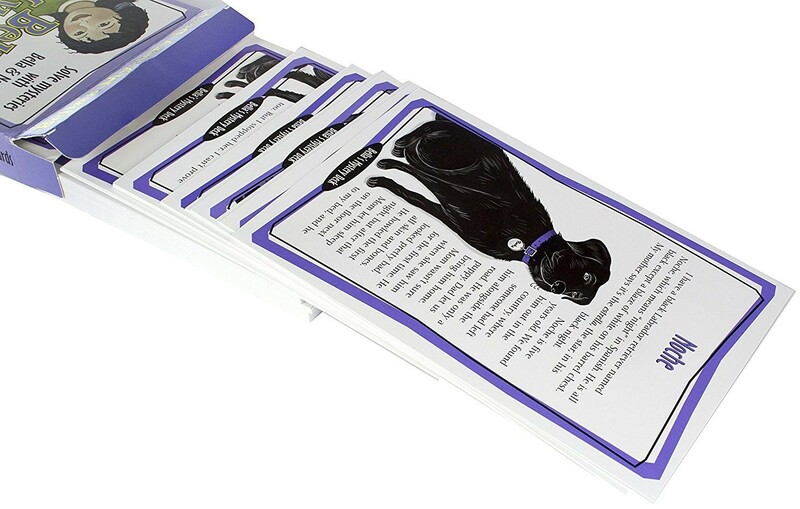 Card game deck features 50 unique mysteries. 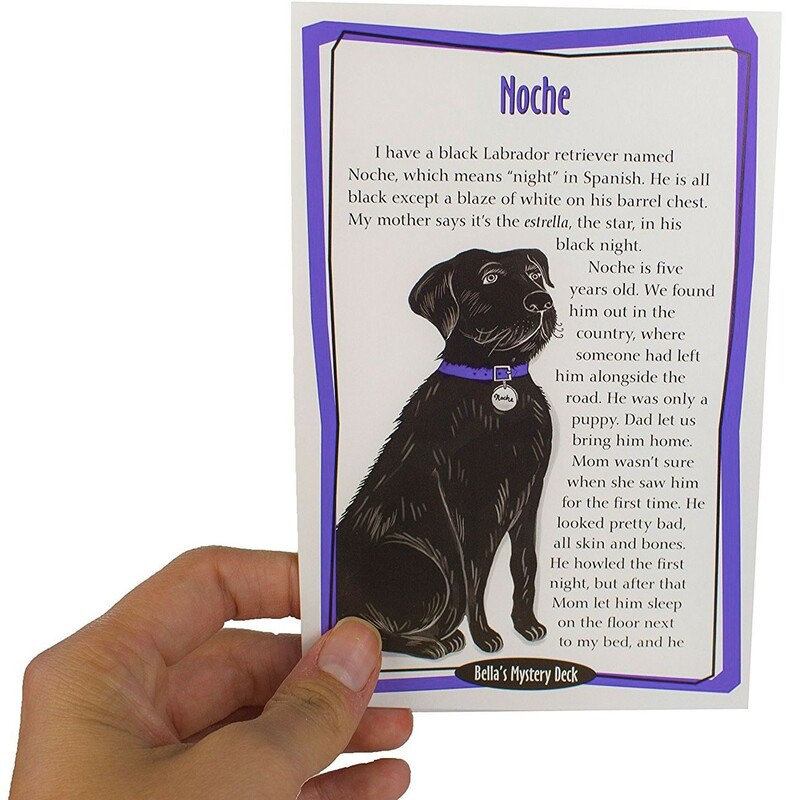 Solutions printed in reverse type; mirror card included. 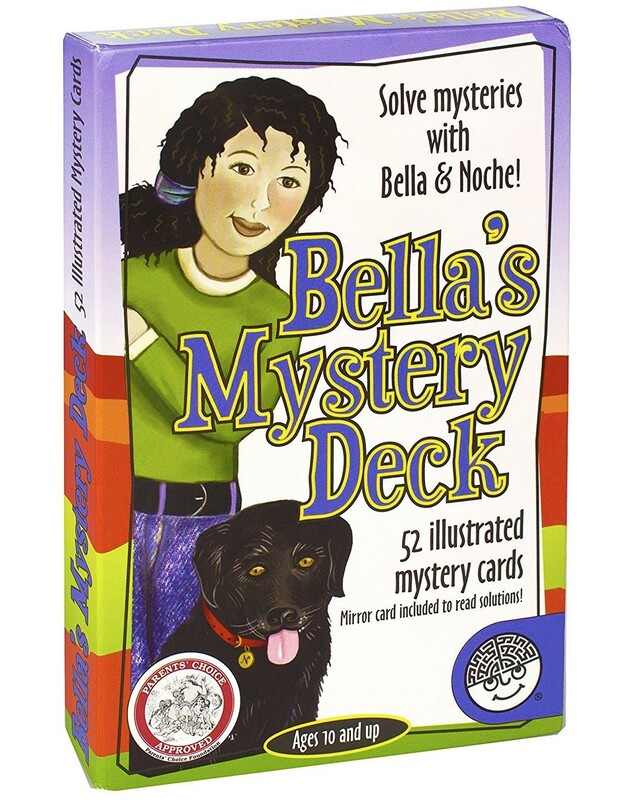 The mysteries continue in Bella's Mystery Deck 2.